The British colonists who once visited India invented India Pale Ale. But we seriously doubt they ever enjoyed one after a day of fullblown kiteboarding. What a shame. Generously hopped to 60 IBU’s in the classic style, our IPA is a real thirst quencher. It has a full, malty body and there’s even a hint of fresh citrus to it. Perfect after your favorite water sport. Even if that happens to be the grueling drag-the-poolside-lounge-chair-into-the-sun event. My friend Joe has been waiting or Full Sail to arrive in our area since this summer. Just a few weeks ago we realized that State Line Liquors had added Full Sail to their lineup. Joe proceeded to purchase several Full Sail beers and in turn gave me a sampler of the Session Lager, Session Dark, Amber and IPA. So this is the last of the Full Sail reviews. The beer pours a clear light copper with deep golden hues and a bright white head. The nose is full with light pilsner type malt and citrus hop aromas. This is a very inviting nose; I can’t what to see what this taste like. Yeap, that’s an IPA. Well, that’s not really fail this is actually a pretty good tasting IPA. The taste starts out with a light malt sweetness up front on the tip of the tongue. But that only last for a split second then it is immediately followed by a tingling effervescence along with a building hop bitterness throughout the middle of the sip. This hop bitterness dissipates when you get to the top of the swallow. Also this hop bitterness never becomes overwhelming. The back end is fairly easy drinking for an IPA but the swallow in not effortless, then again this is an IPA. Once again there is a tang or bitterness that builds at the end of the swallow and carries into the finish. The finish explodes with crisp citrus and floral hop flavors. This is a powerful bite but at the same time it does not seem overwhelming and maintains a very refreshing aspect. There is a slight lingering bitterness on the aftertaste but nothing like the typical American IPA. As this beer warms the hop bitterness seems to subside and the light malt flavors seems to make there presence known. I am not a hophead and American IPA’s are my least favorite style of craft beer. But that being said I could drink this IPA any day of the week. The hop flavors in this ale are more stimulating than bitter. Throughout this experience this ale always seemed light and refreshing. I realize that is somewhat of a contradiction. If all American IPA’s tasted like this I could see myself as a hophead. I’m going for an A on this. 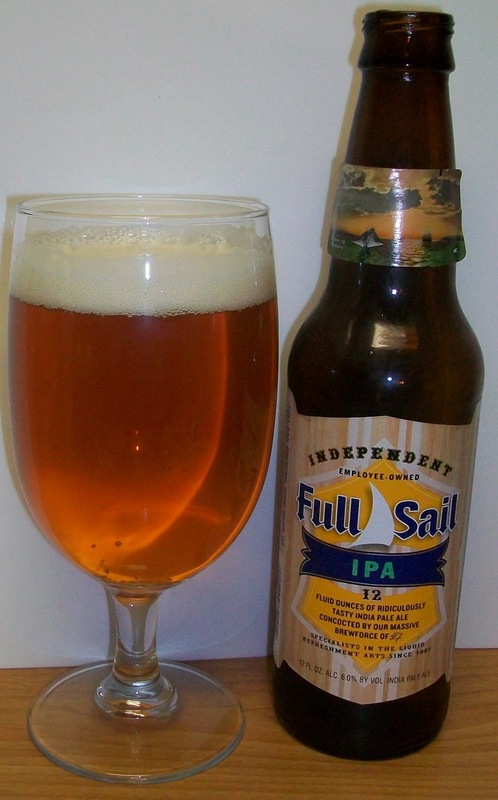 This is a delicious, crisp and refreshing IPA. There is a tremendous amount of hop bitterness but these citrus hop flavors never seem to overwhelm the experience or leave a long lingering bitterness.